While You Were Sleeping is OTYP’s newest project and is all about imagination in unconventional places and unique spaces. It will provide opportunities for young people to work with professional artists on large scale installations. While You Were Sleeping is a street art and innovative public sculpture project that aims to inspire creativity, build a culture of sustainability, increase awareness of the values of recycling, and celebrate the place in which we live. We will engage professional artists, purchase supplies, run workshops, orchestrate overnight installations, and facilitate a project that unites art, environment and community. 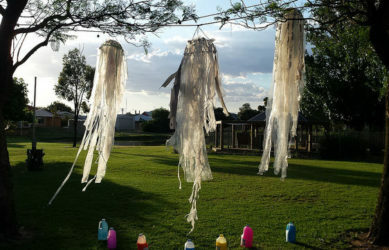 Throughout 2016 & 2017, we will create a series of pop-up public art installations throughout Deniliquin designed by young people and director, Sarah Parsons, to elicit responses from the whole community which will be shaped into a large scale outdoor performance in 2017. 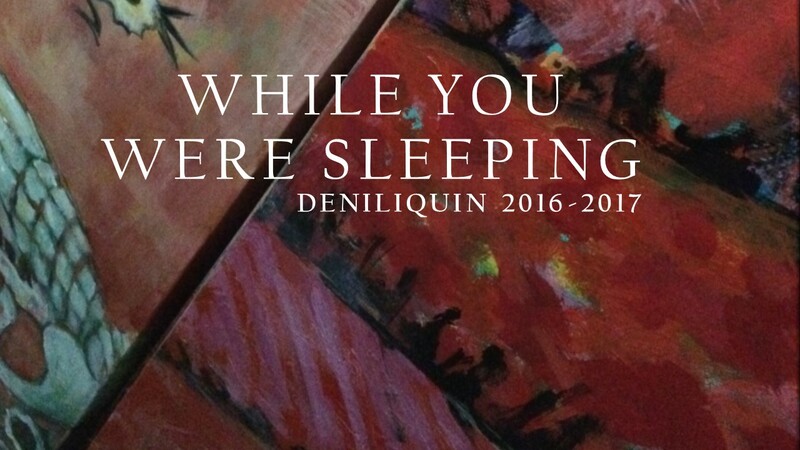 While You Were Sleeping was developed in response to the mixed feelings expressed by Deniliquin teenagers about their town, the perception of teenagers as out-of-place on the streets, loiterers rather than citizens, and the joyous response of the town to the outdoor outcome of our Reverberate project. The project is set to take flight in September 2016, we believe that our project can serve as a provocation for our community, and we can make positive changes in our town, and for our local young people, so if you would like to be involved in any way, shape or form, please contact Sarah Parsons at sarah@outbacktheatre.com. We would LOVE to hear from you. Project partners: Deniliquin Council, Yarkuwa Indigenous Education Centre, Deniliquin Information Centre, Deniliquin High School, Intereach and local primary schools. This project is funded through support from ARTS NSW, The Australia Council, and the Federally funded Catalyst Program.